In addition to creams and oils, another effective way to eliminate toenail fungus is with lasers. 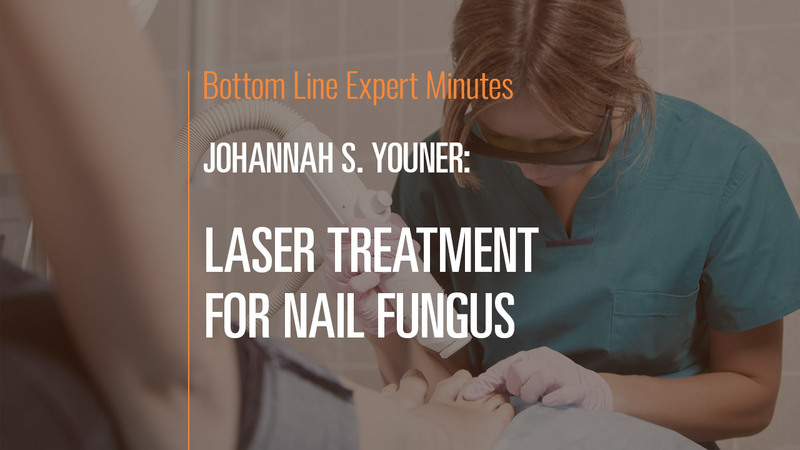 In this video, Dr. Johanna Youner, board-certified podiatric surgeon and a Fellow of the American College of Foot and Ankle Surgeons, says that, while somewhat costly, laser treatment of nail fungus is painless and very successful in getting rid of this infection. Laser treatment vaporizes fungus in three sessions, six weeks apart. Nail fungus is resilient and very difficult to treat, so see your podiatrist as soon as you notice there is something potentially wrong with your toenails.